Kids love centres and I love the community helper unit! I figure that allowing students to play and pretend to be different community helpers and explore the tools that they use is the best way for them to learn. 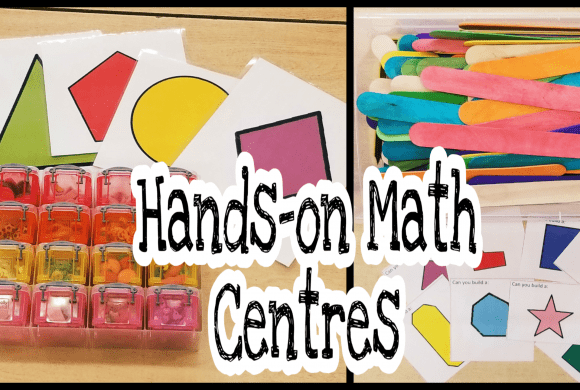 It was interesting to see how many students had one or two centres that they were immediately drawn to. Overall, the centres were a hit! Free printable of centre descriptions (as seen in photos) at bottom. I had all of the materials for each centre in a clear bin and put the centre description in the bin as well. 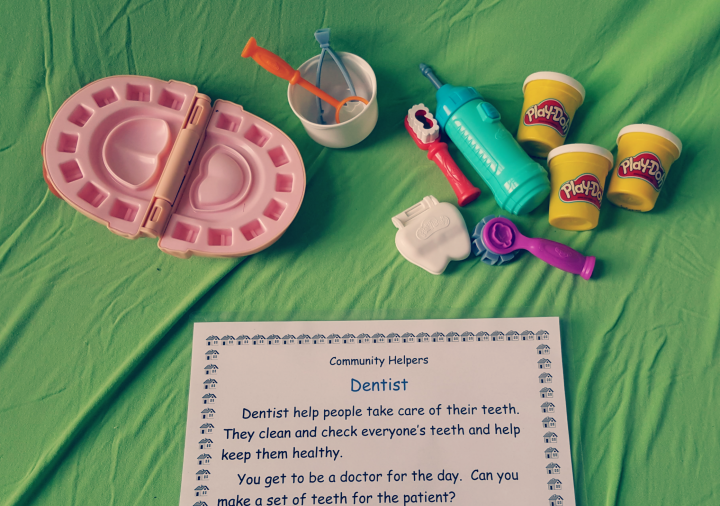 Each bin had an activity for students to try out based on a specific community helper. 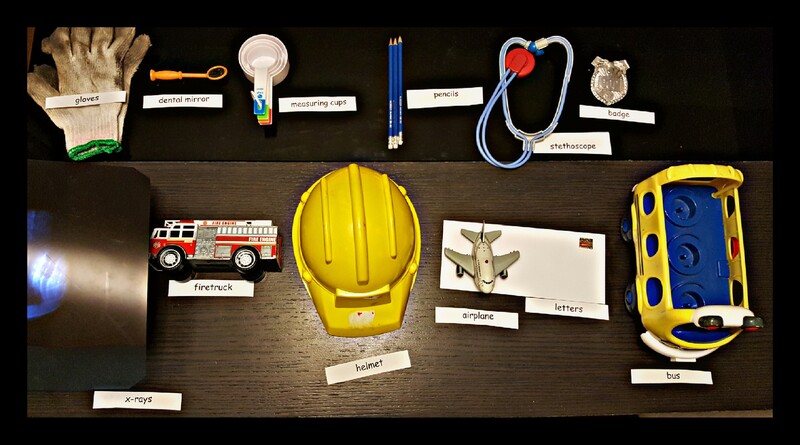 I chose helpers that I knew I had materials for and students had shown an interest it, but any community helper would work. I paired students up and they worked together at their assigned centre. 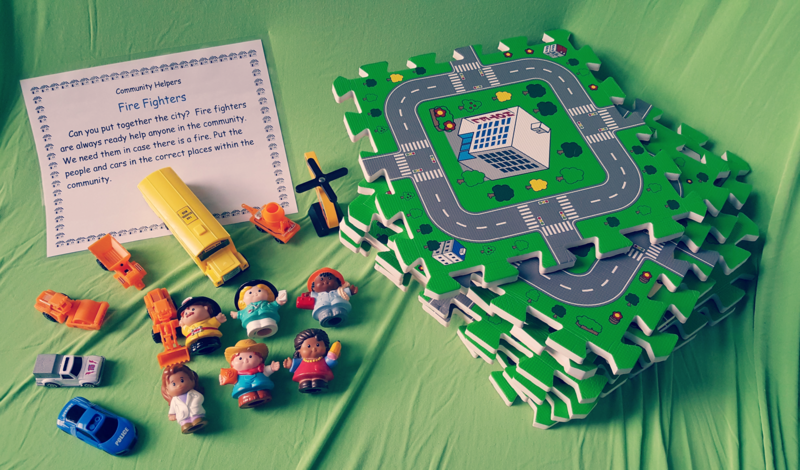 The firefighter centre tied in well with our mapping activities that we had done and students put the mats together to create a community. This centre was a favourite! I had a playdough dentist centre at home so I used it for this centre. 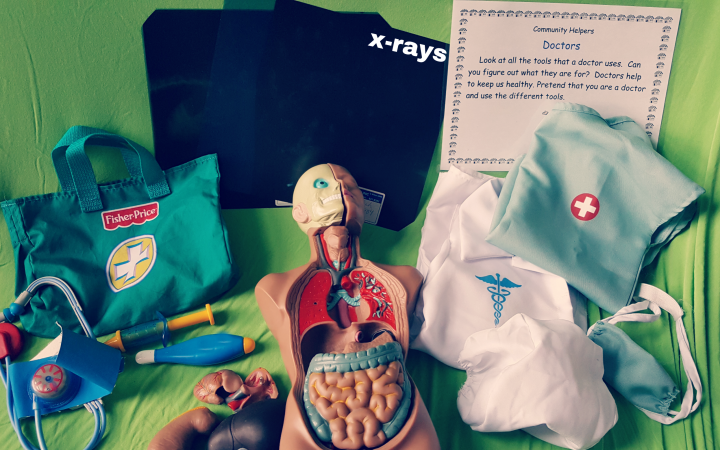 The tools were perfect to learn about the job of a dentist. 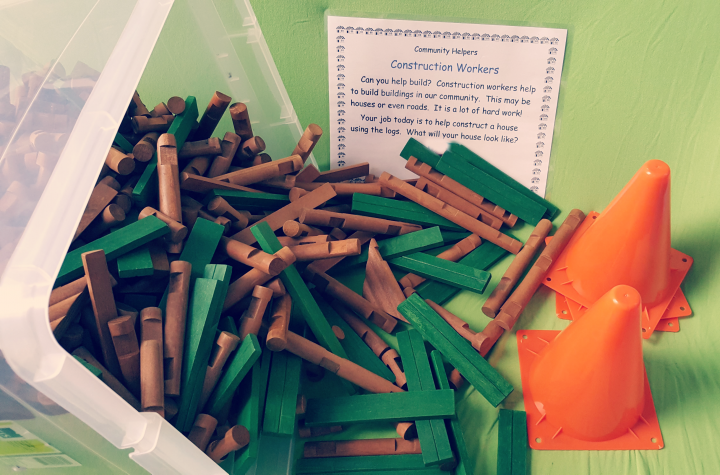 Our construction worker centre allowed students to build houses or even towns. 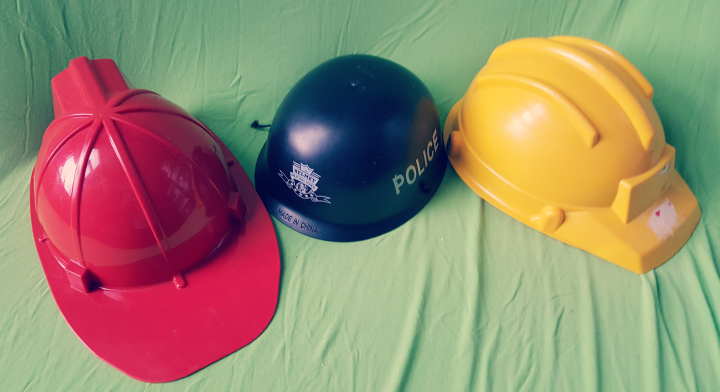 Students enjoyed using the pylons to block off their space and wear one of the construction helmets while building. 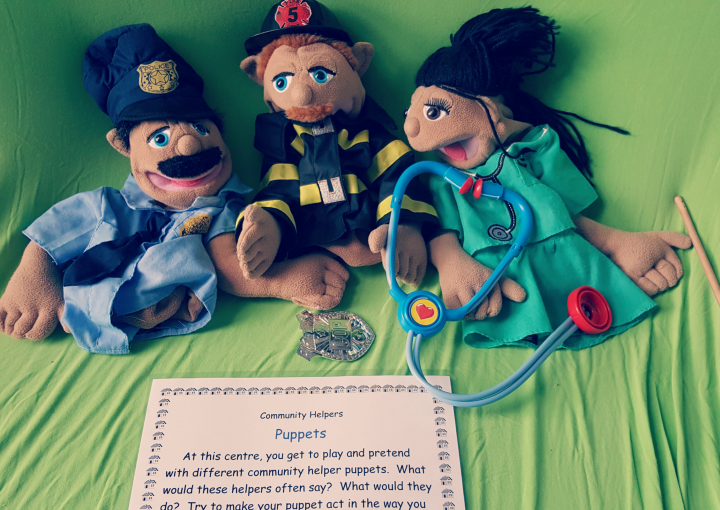 I brought in my puppet theatre so that students could use the puppets to present to their partner about the job of a doctor, firefighter and police officer. Using the puppet just makes it more fun! 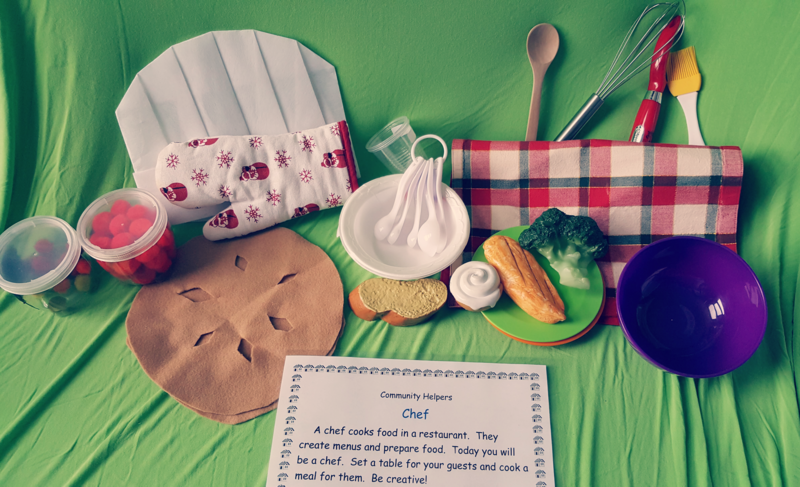 At the chef centre, students set the table and prepared a dish for any guests. I also used a short video from our media resources that I played on my DVD player for students at a video centre. 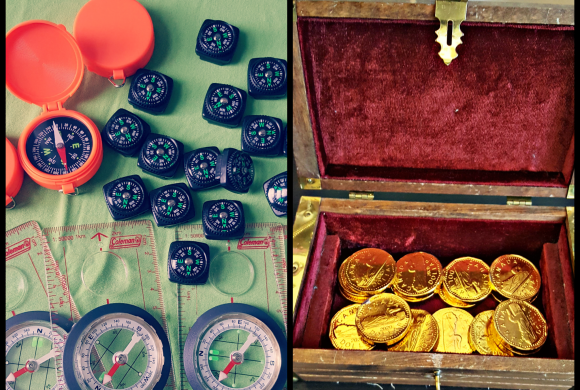 These centres are a great introductory activity for social studies. If I use the centres for grade 1, I would use them at the beginning of the year since students are coming from play based learning in kindergarten.